I have added a review for another novel to my site, and I am happy to designate it as a recommended read. The review follows, and it may also be accessed on the “Recommended Reads” page of my site. First a disclaimer: As a reader I am also an author, hence my reviews are critical, but I do not post reviews for anything read I consider less than an excellent or exceptional work. I do not wish to saddle any author with a less than favorable review. Upon starting my read of OPERATION NEUROSURGEON I was not sure this novel by Barbara Ebel would meet my criteria as excellent or exceptional, but it has. The first chapter left me in a quandary. The chapter introduced a rare autographed book purchase by a character that… at the time… appeared to not be part of what was to follow. The book became significant as an important element, but I could not relate the importance of the first chapter until late in the novel. As I read I wish to be able to develop empathy for characters, and it took a while for this to happen, but once it did, I was hooked. With an excellent plot I became mesmerized as I watched physical and emotional tragedy wreak havoc on a loving family. My emotions were kindled as I saw a highly regarded professional’s life fall apart due to bad choices made and circumstances beyond his control. This novel portrays life and relationships that at times are wonderful and other times become a nightmare. It shows how the human spirit can rise and fall yielding to both depression and hope. Because this is the first book of a series, the novel ends with a cliff-hanger, yet the reader is left felling hope for the characters. I rate OPERATION NEUROSURGEON at 4.5 stars and round it up to 5 stars. I look forward to reading the second book in the series. Another 5 star review has been received for Breaking Liberator’s Shackles. The average ratings for reviews to date is 4.86 stars out of a possible 5. A copy of this current review follows the graphics for the novel’s cover. By Marjorie Appleby, an author, on Goodreads, September 10, 2015 and Amazon, September 11, 2015, 5 out of 5 star rating. 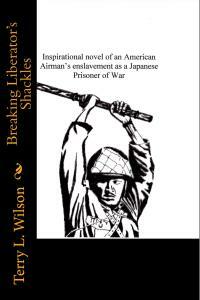 If you are a history buff, as Mr. Wilson surely is, and you want a glimpse into what happened to prisoners taken by the Japanese during World War II, then you need to read Breaking Liberator’s Shackles. It gently guides you through an American Airman’s perspective as he relives his nightmare of the War in the Pacific. Undoubtedly, reoccurring dreams, termed post-traumatic stress syndrome today, follows the person for the rest of his/her life, to cope they often push the unpleasant memories into the deep recesses of their minds only to find that by sharing their story they can break those haunting shackles. This is a poignant story, immersing the reader into the depths of solitude where only the prisoner’s wits and strong faith in God keeps them alive. Nearly a generation later, the Airman embarks on a journey to tell his son what really happened all those years ago in an attempt to prepare him for his tour of duty in the Viet Nam jungle. The Airman knows that the details of the story will not come easy so he takes his son on a fishing trip to a well-known area that reminds them both of a more pleasant time. War is hell, but Mr. Wilson makes this remarkable story a lesson in hope and faith…and survival under the cruelest of circumstances; may this be the tribute Mr. Wilson intended to all World War II participants! Following the reading of Ms. Appleby’s exceptional first book of her A WHISPER MYSTERY TRIOLOGY, I continued to be captured by Book Two, WHISPERED DREAMS. The world of suspense the author has created, coupled with a plot of intrigue and characters of which the reader will love (or for the villains… detest), reminds the reader of why they read fiction. At least it did for me. The twists are numerous yet believable as the reader experiences a family coping with issues requiring cunning and faith in one another. The family is faced with questions concerning who to trust as they become embroidered with a plot to overthrow the royalty of a mid-eastern government. Of course, as a trilogy, this novel provides a cliff hanger. It will have the reader clamoring for the third book. I highly recommend WHISPERED DREAMS, but I also recommend reading the first book in the trilogy first, THE ANCIENT WHISPER. I have added a review for an eighteenth book to the Recommended Reads page of my site. This review is for a sequel to a novel I rated as one of the best novels I have ever read. The following is a copy of the current review, but check out the other reviews on my site. When I read the first book of the SON OF ODIN trilogy, I stated in the review it was one of the best novels I have ever read. Upon starting a read of A FLAME PUT OUT, I was curious to discover could the second book in the series be a good as the first, ODIN’S SHADOW. I must report it is. Erin Riley has the ability to write in a fashion that captivates a reader and makes the reader feel the passion, tribulations and joy of characters as they are immersed in plots and conditions keeping the reader crying for more. I definitely recommend this read… it is a continuation of one of the best novels I have ever read. I look forward to reading the third novel of this trilogy. The real story about what happened at Kent State University! I’m not a history enthusiast and lean toward fiction and fantasy as a way to escape so this was an interesting departure for me. It made me think of when President John F. Kennedy was shot. I can recall exactly what I was doing when the devastating news was broadcast over the school PA system. And I recall the news of the Kent State Massacre…on the radio as I drove home from my job. But I didn’t understand what really happened – until I read The Blanket Hill Insurgency. As an emerging author and avid reader, I choose books based upon certain criteria. I want to be swept away to places I’ve never been to and entertained while learning something new. I didn’t know the real story of what happened that fateful day in May 1970. Kent State University was located less than an hour from my house and it was devastating to think that something like that could happen so close to home! This single event brought the question most people had on their minds…should the United States even be in the Vietnam War. Author Terry L. Wilson brings a new perspective to what took place at a juncture in our history, at a quiet campus, in the little town of Kent, Ohio. He starts by transporting the reader into the Vietnam jungle, and then slingshot us in and out of what transpires before and after the tragic event. I now have a new understanding and appreciation of how this tragic event unfolded. As Mr. Wilson masterfully brings us along with him on this journey through life on a college campus, as well as a peek into Army life during the Vietnam War, he gives credence to this thought provoking and inspirational subject. His characters show extraordinary behavior along with a deep understanding of faith that encourages hope. 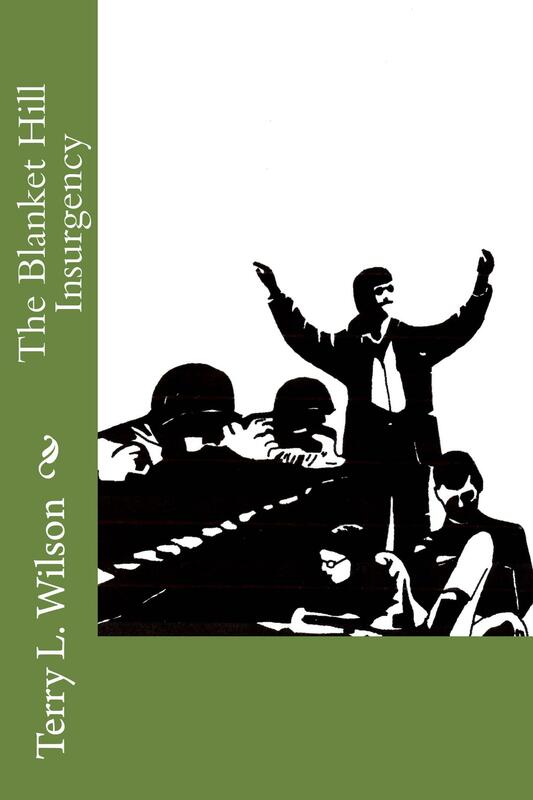 I recommend reading The Blanket Hill Insurgency in order to understand what really happened during this conflict. Mr. Wilson tackled this delicate subject nicely. Bravo! My recommendation of another author’s mystery. As an author of fiction I am also a reader. Of works I believe are excellent or exceptional, I provide a review following my read. The following review is for The Ancient Whisper by M.A. Appleby, a mystery of 494 pages. ISBN: 978-0996197366. This novel definitely rates five stars. I was immediately captured by the first chapter of THE ANCIENT WHISPER, and this mystery did not release me until I completed reading the Epilogue. The author, M.A. Appleby, skillfully portrays a mother fighting to overcome a life turned upside down by world politics, criminals and a Federal bureaucracy. Rather than accepting defeat from the hand she is dealt, this lady responds with cunning as she wages her war with Middle East royalty, Homeland Security, those who identify themselves as FBI agents and an organization of criminals. She is allowed little time to savor the victory of each battle she wins due to additional complications that keep invading her life. As an author of fiction my-self, my standard for an exceptionally written novel requires each of the following to be present: The characters developed must make me empathetic with them, and the antagonists have to be believable. The plot has to be interesting, lacking holes and provide ample surprises. The author needs to show me the story rather than telling it to me. As a reader I need to feel the emotions of the characters; what they see, feel, hear, taste and smell are all very important. Ms. Appleby has surpassed my expectations, and this mystery is definitely a novel I classify as exceptional. It is also a very enjoyable read.